Address: Carretera dell Coll d' Ordino, s/n, Ordino, Andorra. 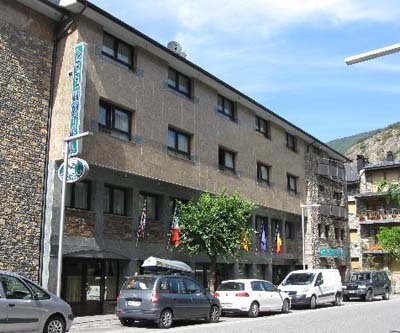 Set at 1300 metres above sea level, Aparthotel Casa Vella is in Ordino, only 10 minutes from the ski slopes of Vallnord and 8 km from Andorra La Vella. It has impressive views of the mountains and forest. The aparthotel has spacious, mountain-style apartments, with 1 or 2 rooms with double or twin beds. They have a living area with a double sofa bed, a 42-inch flat-screen TV and a safe. There is also a dining area, and a kitchen with a microwave and coffee maker. The bathroom has a bath or hydromassage shower. The property features a café, where you can enjoy a daily buffet breakfast. Casa Vella is just 3 km from the ski lifts at Pal-Arinsal. Hiking is also popular in the surrounding area. The aparthotel also offers ski storage, as well as on-site parking for an extra cost, and there is plenty of free parking nearby. Please inform Aparthotel Casa Vella in advance of your expected arrival time. You can use the Special Requests box when booking, or contact the property directly with the contact details provided in your confirmation. Guests are required to show a photo identification and credit card upon check-in. Please note that all Special Requests are subject to availability and additional charges may apply.